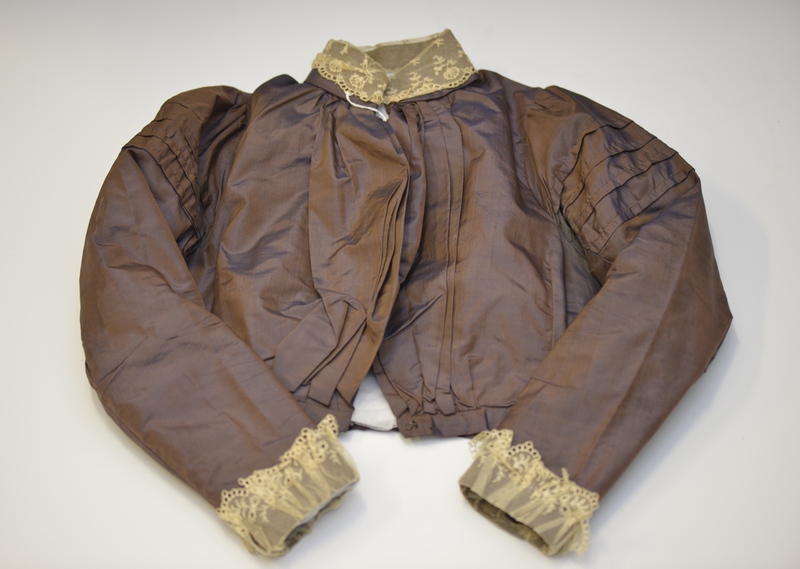 This finely made hand sewn ladies jacket of brown shot silk is fully lined, with a lace trim. This lovely women silk jacket was made in Scotland for Margaret O’Rourke’s mother to wear upon her arrival in Sydney from Scotland. This gorgeous jacket shows the care and patience that went into making sure you were well turned out for an important event like arriving in a new country. All photographs Copyright QDHMS Inc.